The annual water safety weeks will take place in Narin and Portnoo during the weeks of Monday 30th July to Friday 3rd August and Monday 6th to Friday 10th August. The aim of these weeks is to increase awareness of all aspects of sea swimming and water safety. All levels of beginners and swimmers are welcome; under the supervision of qualified instructors they will work towards a suitable certificate awarded by Irish Water Safety. Registration for all will take place at the beach at 10 a.m. on Monday 30th July and Monday 6th August and a timetable will be given to the parents then. Congratulations to Joseph Brennan, Main Street and Stephanie O’ Connell, Naomh Connaill Close, Glenties, who were married on Saturday 30th June. The winners at the Bingo in the Community Centre, Glenties on Tuesday 3rd July ’12 were – Anthony Burke, Bruckless won € 300; Anna Cannon, Kilcar, Dim Melly, Rooskey, Vincent Ward, Fintown, Seamus Deane, Kilcar, Anne Kennedy, Dungloe, Michelle Mc Brearty, Kilcar, Michael Langan, Fintown, Maureen Kennedy, Co. Down, Mary Doherty and Anne Boyle won € 100 each; P. Rooney, Co. Down, Anne Whyte, Ardara, Breege Roarty, Glenties, Kitty Mc Glynn, Fintown, Isobella Mc Loone, Fiona Boyle, Eíméar Doherty, Paula Hegarty and Anne Boyle won € 50 each; Carol Sweeney, Rosbeg and Teresa Molloy won € 25 each; Joe Kearns, Cathy Connell, Martin Mc Taggart and Patsy Mc Dyre won € 15 each. If you are thinking of sending your child to our childcare facility this year and you qualify for subvention (reduced payment) then this must be applied for before the end of September this year. Anyone wishing to avail of subvention after September will not have their payments reduced; therefore it is extremely important for parents to register their child at the start of the new term. If you need any further information please do not hesitate to contact us on 074-95-51907. Congratulations to our Under / 14 Girls Football Team who won the County Final during the week when they beat Fanad Gaels. Congratulations also to our Under / 14 Boys who won the Regional Final by defeating Four Masters. Glenties Care of the Aged Committee gratefully acknowledge a donation of € 400 from Rev. John Deane – part of the proceeds from the Rectors Challenge Charity Cycle which took place on Saturday 26th May. The total amount collected in this year’s X-Factor, which was held in M25 Glenties was €4575. The three beneficiaries this year, The Glenties Playground, The Donegal Hospice and The Ronald McDonald house (Crumlin Hospital) have each received the sum of €1525. A special thanks to everyone who participated or helped in any way in organising the night. 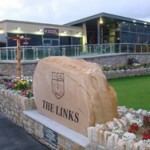 A bus will leave Mc Guinness’ Café at 6.00 p.m. on Tuesday 6th March and every first Tuesday for Mass in Rossnowlagh. The organisers wish to make an appeal for people to join them. The winners at the Bingo in The Community Centre, Glenties on Tuesday 21st February were – Sally Rodgers won the Jackpot of € 400. Anthony Burke, Bruckless, Geraldine Jordan, Carmel Doherty, Sally Mc Guigan, Ann Mc Dyre, Nora Mc Hugh, Fiona Boyle and Fay Moore won €100 each. Kitty Mc Glynn, Bridie Boyle, Mary Breslin, John Boyle, Brown Kid, Breege Gallagher, Nora Gallagher, Mary Gallagher, Bridie Doherty, Margaret Murray, Shannon Keys and Nancy Gallagher won € 50 each. Bernadette Mc Brearty, Kathleen Griffin, and Josie Gallagher won € 35 each. Pauline Mohan Breege Roarty, Lisa Coughlan and Liz Buckley won € 25 each. Glenties Drama Group will present Brian Friel’s ‘Dancing at Lughnasa’ in Glenties Community Centre on Friday 2nd March, Saturday 3rd March and Sunday 4th March. There is great local interest in the play as it reflects Friel’s memories of his childhood visits to his aunts in Glenties. So make it a date for your diary and come and enjoy an evening of live theatre. Congratulations to Nathan Craig, Joe O’ Donnell, Niamh O’Donnell and Nathan Byrne from 5th Class in Scoil Mhuire, who won the South West Garda Divisional Final held last week in St. Columba’s Comprehensive School, Glenties. Best wishes in the County Final in Letterkenny on March 22nd. This Year’s X-Factor takes place in M25 Glenties, Saturday 3rd March at 10 p.m. sharp. The beneficiaries this year are – Donegal Hospice, The Ronald Mc Donald House, (which provides accommodation for the families of seriously ill children, who are hospitalised at Our Lady’s Hospital, Crumlin) and The Glenties Playground. A great night’s fun is guaranteed with 12 unmissable acts ‘strutting their stuff’ for charity. Lines are on sale locally at just € 2 per line for a raffle to be held on the night. A Charity Ceilí will be held in the Highlands Hotel, Glenties on Sunday 18th March. Dancing is from 9 p.m. – 12 midnight. Music is by The Long Note and admission is €10 (including supper). All proceeds will go to – Palliative Care Team, Donegal Hospice. The Glenties Community Action Group is holding a St. Patrick’s Day parade in the town this year on Saturday 17th March. They are also attempting a Guinness Book of Records for the most Leprechauns in one place at one time. They are asking everyone in the community to come out and show your support for your local area for this novel event. If you want to take part you can register on glenties.ie or call in to Anne Bonner, Dressmaker on Main Street. The committee appreciate that these are hard times, especially financially for everyone, therefore they have decided that to minimise costs that they would make the costumes, which will be provided at a cost of € 10. They are also making carnival items for the parade. This is being done daily in the Community Centre from 10 a.m. till 4 p.m. Anyone interested in helping out please feel free to call in and help. To make the day a success and a great family day, especially for children, they are asking Business people, Clubs, Groups, Schools and Individuals to consider putting a float into the parade. This Year’s X-Factor takes place in M25 Glenties on Saturday 3rd March at 10 p.m. sharp. The beneficiaries this year are – Donegal Hospice, The Ronald Mc Donald House, (which provides accommodation for the families of seriously ill children, who are hospitalised at Our Lady’s Hospital, Crumlin) and The Glenties Playground. A great night’s fun is guaranteed with 12 unmissable acts strutting their stuff for charity. Lines are on sale locally at just € 2 per line for a raffle to be held on the night. All Parents are invited to attend the A.G.M. on Thursday 23rd February at 8 p.m. in the Pre-SchoolBuilding. Refreshments will be served. Glenties Drama Group is in full swing with rehearsals for their upcoming production of Brian Friel’s Dancing at Lughnasa in Glenties Community Centre on March 2nd, 3rd, 4th. There is great local interest in the play as it reflects Friel’s memories of his childhood visits to his aunts in Glenties. So make it a date for your diary and come and enjoy an evening of live theatre. Many thanks to everyone at Glenties and Edeninfagh who contributed to the recent Bluestacks Special Needs Foundation Church Gate Collection. The amount raised was € 675. Enrolment Forms are now available at the school for the 2012 / 2013 School Year. Further details are available by ringing the school on 9551663. The death took place at his home on Thursday 17th February 2011 of Pat Mc Hugh, Straoughter, Glenties. 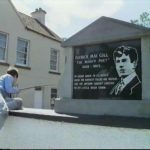 His remains were brought to St. Connell’s Church, Glenties on Saturday afternoon. Fr. Pat Prendergast celebrated Requiem Mass at 1.00 p.m. Family members did the Readings, Prayers of the Faithful and brought the Gifts to the Altar. Music and singing was also by family members. Burial took place in the New Graveyard. Pat is survived by his wife, Georgina, sons, John and Joseph, mother, Mary, brothers, John and James, sisters, Margaret, Carmel, Rosemary, Mena and Bridie, grandchildren, in-laws, nieces, nephews, other relatives and friends to whom sincere sympathy is extended. Sincere sympathy is extended to the family, relatives and friends of Sean Boyle, Ard Patrick, Glenties who died on Tuesday 1st March 2011. Sincere sympathy is extended to Mary Kate Byrne and family, Glen Road, Glenties on the death last week of Mary Kate’s brother Jimmy Campbell (formerly Altar, Glenties) in Scotland; also to all his relatives and friends. Sincere sympathy is extended to John Ward, Meenavale, Glenties on the death on Saturday 5th March 2011 of his sister, Margaret Mc Shane, Boultypatrick; also to all the relatives and friends. Congratulations to Thomas Melly, son of Martin and Noreen Melly, Letterilly, Glenties, who graduated with B.Sc. First Class Honours in Quantity Surveying from Limerick Institute of Technology. Thomas also received the Davis Langdon Award for excellence and the Bruce Shaw Partnership Award for excellence in the final year. He is a past pupil of Kilkenny N.S. St. Columba’s Comprehensive School. Glenties and Letterkenny I.T. He is currently working in Sligo with J.J.Rhatigan & Co.
Congratulations to Yvonne and Jim Mc Guinness, Creeslough on the birth recently of their third child, a baby brother (Jimmy) for Toni Marie and Mark Anthony. Jim is a son of Jim and Maureen Mc Guinness, Ard Patrick, Glenties. Congratulations to Éilis and James Mc Dermott, Lucan, Dublin on the birth of their first child, a baby boy (Donal). James is a son of Danny and Mary Mc Dermott, Meenagrubby, Glenties. Congratulations to Sheila and Colm Harold, Glenswilly, on the birth of their second child, a little sister for Tanya. Sheila is a daughter of Danny and Mary Mc Dermott, Meenagrubby, Glenties. Congratulations to Mary Lou and Michael Furey, Strasallagh, Glenties on the birth of their first child, a baby girl (Katie). Winners at the Bingo on Tuesday 1st March in the Community Centre, Glenties were – Nora Mc Hugh won the Jackpot of € 400. Bridie Gallagher, Killybegs, Sarah Long, Peter Sweeney, Philomena Mc Callig, Michelle Byrne, Mary Furey and O’Hara, Killybegs won € 100 each. Margaret Hanlon, Leitirmacaward, Martin Mc Taggart, Patrick Browne, Maura Kilbane, Faye Moore, Paddy Boyle, Breda Brett, Dungarvan, Ann Mc Hugh, Bridie Gallagher, Killybegs, Angela Lowther, Kathleen Griffin and Kay Mc Geehan won € 50 each. Anne Kennedy, Mary Mc Gettigan, Christine Mc Cool, Hugo Mc Dyre, Patricia Molloy and Hugo Mc Dyre won € 25 each. The Church Gate Collection taken up recently for The Alzheimer Society amounted to € 833.00. Thank you to all those who donated so generously. DVDs are now on sale in Mc Glinchey’s Mace following the recent successful X-Factor night in Paddy’s Bar. Proceeds go to the Donegal Hospice with a donation going to the local Mountain Rescue Service and Playgroup. Price is € 12. Classes in Jiving, Fox Trot, Quick Step and Waltz have started in the Highlands Hotel, Glenties, on Monday nights from 8.00 p.m. – 10.00 p.m. Teacher: Seamus Melvin, Mayo. The Glenties X-Factor is back for one night only, this Friday Night 18th February, in Paddy’s Bar at 9.30 p.m. A great night’s fun guaranteed, with 12 unmissable acts performing. There is no cover charge but donations will be gladly accepted on the night. Proceeds will go to Donegal Hospice. Donations also to local Mountain Rescue Service and local Playschool. Congratulations to Joseph Brennan, Glenties and Stephanie O’Connell, Doochary who got engaged recently. Sincere sympathy is extended to the relatives and friends of Nellie Mc Gee, Glenleighan, Fintown who died in Letterkenny Hospital on Monday 7th February 2011 and was buried in Fintown on Wednesday 9th. Sincere sympathy is extended to Willie Mc Gee, Fintown on the death of his sister, Mary Anne Mc Gee, Glenleighan, Fintown, who died in St. Joseph’s Hospital, Stranorlar on Tuesday 8th February 2011; also to the other members of the family and to all her relatives and friends. Sincere sympathy is extended to the relatives and friends of John Mc Dermott, Edeninfagh and formerly of Meenamara, who died in St. Joseph’s Hospital, Stranorlar on Tuesday 9th February. Winners at the Bingo in the Community Centre, Glenties on Tuesday 8th February were – Margaret Gillespie won the Jackpot of € 400. Emma Sweeney, Tullymore, Ardara, Cathy Connell, Portnoo, Vera Breslin, Cathy Connell, Portnoo and Sandra Moore won € 100 each. Brigid Mc Cabe, Frosses, Aileen O’ Donnell, Anne Kennedy, Dungloe, Mary Doherty, Glenties, Christine Mc Cool, Glenties, Rosaleen Gallagher, Ardara, Margaret Ward, Mully, Teresa Breslin, Rosemary Whelan, Bella Boyd, Rosbeg, Sarah Gallagher, Ardara, Sarah Gallagher, Ardara, Pauline Mc Geehan, Fintown, Kathleen Griffin, Frosses, Dim Melly, Leitir, Bernie Fitzpatrick, Marie Boyle, Narin and Sarah Gallagher won € 50 each. Breast Check is offering free breast X-Rays (mammograms) to women in the Glenties area aged 50 – 64 years. Women will receive an appointment by post, to attend the Breast Check Mobile Unit in the grounds of the Letterkenny Public Services Centre, Neil T. Blaney Road, Letterkenny. Breast Check aims to reduce the number of deaths from breast cancer by finding and treating the disease at an early stage. Further information is available by calling Breast Check on Freephone 1800 45 45 55. A Ten Night Pilgrimage to Benevento, San Giovanni, Assisi and Cattolica, organised by the Ballyshannon St. Padre Pio Prayer Group, will take place from 30th May until 9th June and will be accompanied by a Spiritual Director. The Pilgrimage operates on a direct flight from Dublin to Naples, and will also include visits to Cascia, Loreto and San Marino. For further information contact Nuala Slevin on 071 9851129 or Joe Walsh on 01 2420816. There are two Pilgrimages leaving for Medjugorje, the first on the 4th June and the second on the 2nd July. Places are limited. A deposit of € 50 will secure a place at the discounted prices of € 599 and € 579. Arrangements can be made to pay the balance in instalments. For more details phone 9551438. The Bluestack Special Needs Foundation Church Gate Collection in Glenties amounted to € 620.54 and in Edeninfagh amounted to € 128.00. Thank You to all who contributed to and to all those who helped with the collection.